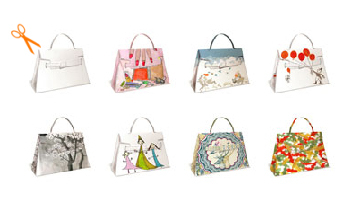 You've always wanted a Hermes bag - and you shall have one. Customized even. Today. If you wish. 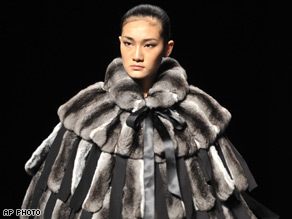 The garments range in price from $12,000 for a mink bolero to $83,000 for a chinchilla cape. Imai says fur is ecological because it can be worn for generations and "returns to the earth" as organic material (thus causing no pollution). 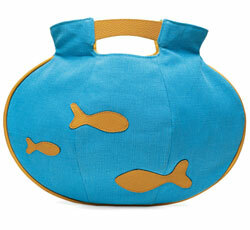 This chic bag evokes a fishbowl, with goldfish shapes appliquéd on both sides. It has comfortable handles and an interior hook for keys. Made of blue cotton linen with an orange crease-resistant cotton twill interior and leatherette accents. Hand-wash only. Your pants are the ideal length in heels but drag the ground when you wear flats? Problem solved! 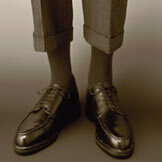 Zakkerz are fabric strips with magnets in the end, shortening your pants instantly. Roll to the desired length, place two strips around each fold, secure it, then hit the road (with no more tripping over your pants legs). A great alternative to your standard holiday little black dress (LBD). To mark its 100th anniversary, Neiman Marcus asked leading fashion designers to create what they see as the future of fashion. And the results from over 20 designers are now on display through Nov. 3 on the ground floor at the company's flagship store in Dallas. Valentino began painting the city (Rome, that is) red this past weekend while celebrating his 45th year in fashion. On July 6, he began a retrospective at Rome's Ara Pacis museum. 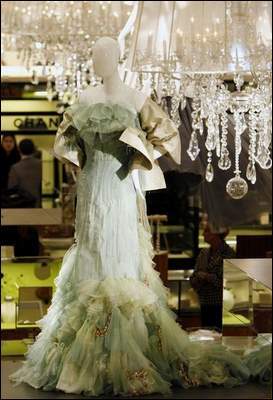 On July 7, he presented his couture collection for winter 2007-2008 in a medieval convent near the Vatican. That night there was a gala ball in a Roman park, where he launched his latest scent, Rock 'n' Rose. 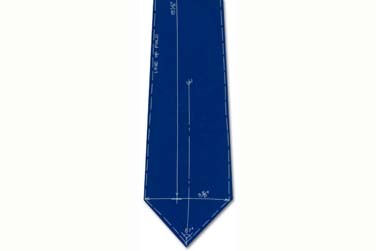 It's a blueprint of a tie. On a tie. Designed by Constantine Boym for Acme Studios; 100% Silk; Packaged in a black tie box.